GLU (aka GIRLS LIKE US), 2007. First Edition. Softcover. 79 Pages. 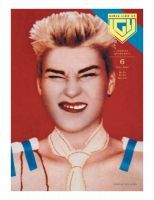 Magazine : VG+. Scarce. GIRLS LIKE US is an independent magazine turning the spotlight on an international expanding community of women from all genders within arts, culture and activism. Through personal stories, essays and vanguard visuals GLU unfolds feminist legacies in arts and writing. 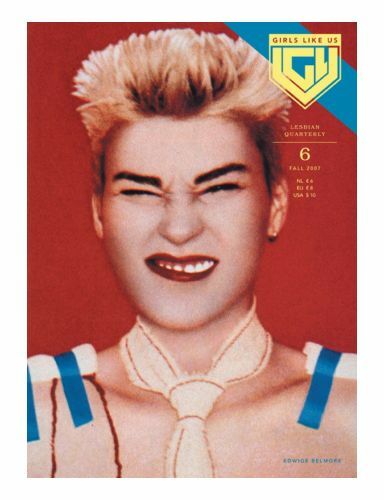 This issue includes a special 14-page feature with an in-depth interview with punk icon and Palace regular Edwige Belmore, who also appears on the cover with an artwork by Pierre et Gilles from their 1976 series Les Grimaces originally published in the 5th issue of Façade.